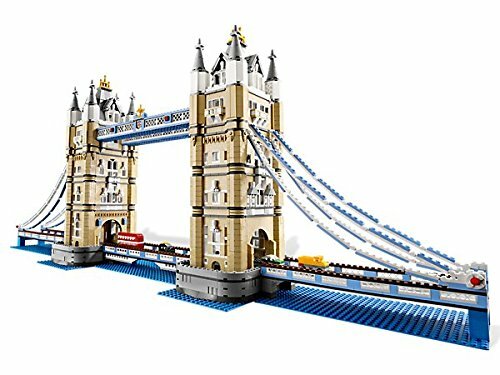 The Big Lego Tower Bridge Building Set - Join the Building Craze! Getting bored with the small Lego sets? Looking for a challenging Lego build that will keep you busy for more than a few minutes? This London bridge Lego set will provide a good challenge. This set will provide a good challenge for the older Lego builder. It has lots of detail and is a very big set. Make sure you have enough space to work and for the finished model. The set includes lots of small pieces like 1×1 slopes in tan and over 80 windows. This set is ideal for building and putting on display. It can be taken apart in sections for transporting. This is one of the hard to find Lego sets so you are unlikely to get it for much less than the list price.